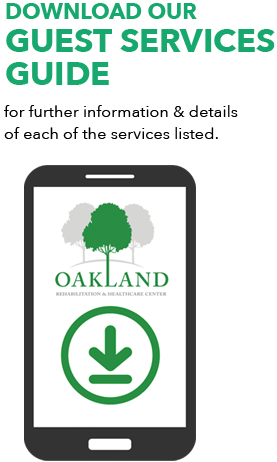 The Oakland Rehabilitation Guest Services Team is here for you. All persons of faith are welcome. *Some of the services/amenities above have additional fees. Please fill out the form below to receive a copy of our Guest Services Guide.